It’s that time of year again. The seasons has brought with it varying storms of hail, snow, wind, and rain. Naturally, this inclement weather causes plenty of inconveniences. One especially critical inconvenience, however, is the damage caused to homes by this storming. While it’s often forgotten, your roof is one of the most important areas of your home. Even a small leak in your roof can cause damage to the insulation and structure of your home. Storms are one of the biggest culprits of roof damage, but there are steps you can take to recover and prevent it. The longer you wait after a storm to find that your roof is damaged, the more laborious your repairs will be. If you are able to identify roof damage after a storm, you’ll be able to prevent increasing damage over time, resulting in lower costs for repair and less trouble. You may find that there’s more damage to your home than you originally anticipated. If something fell on your roof in the midst of the storm such as a tree, you may find yourself with structural damage beyond just the extensive repairs that need to be done to your roof. While a tree falling on your roof calls for obvious and immediate attention, you may find that your roof is missing a few shingles after a storm. 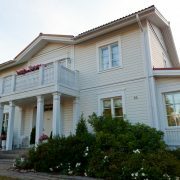 Something as seemingly miniscule as a missing shingle or two can cause serious problems such as moisture penetration, mold, widespread insulation damage, and leaks. Roof damage can be invisible and dangerous. Just because there’s no visible damage to your roof does not mean that the storm has left it unscathed. Even if you’ve done an inspection on your own, the best method for recovering your roof after a storm is calling a professional to not only inspect, but rebuild and fix your roof. Having a licensed, insured, and bonded professional care for your roofing needs will surely ease the stress of dealing with storm damage. CJD Construction has over ten years of experience and offers roofing services and storm damage repairs tailored to your needs. Whether it’s a simple inspection or a full replacement, CJD takes into account what you’re looking for and works with you to find the best way to satisfy that. 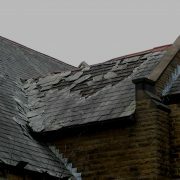 If your roof has suffered serious storming damage, make sure to give your insurance company a call. 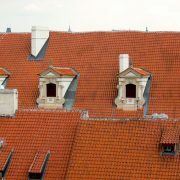 It’s very likely that they will cover some, if not most of the cost of repairing your roof. Don’t have insurance? Don’t wait. Putting off repairs because of lack of insurance will create more damage to your roof and result in a fluctuation of trouble and costs. While these repairs may be out of pocket for now, consider getting insurance coverage for future roof problems and home repairs due to storm damage- especially if you live in an area where nature’s excitement is a common occurrence. Inspecting your roof for damage at least once a year can save you time and money when it comes to making repairs and keeping your home free of water, heat leaks, mold, and more. With most hail storms happening in the Midwest U.S., monitoring the condition of your roof is one of the most important things you can do to keep your home free of serious damage. In order to ensure safety and security, the best idea is to call a roofing professional. CJD Construction understands that stress resulting from roof damage is not one that most people want to deal with. That’s why we’re here to help you along the way and ensure that you and your family can live comfortably and safety regardless of what the season brings. To tell us how we can help, call (618) 659-9007 or send an email to info@cjd.construction.